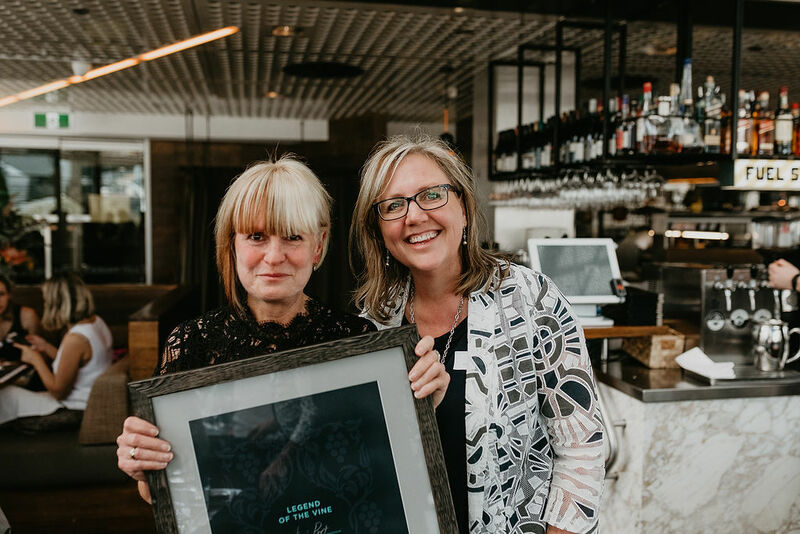 Jeni Port, one of the nation’s most respected wine connoisseurs and communicators, has today been announced as the 2018 WCA Legend of the Vine in Victoria. This distinguished title has been awarded to her in recognition of her outstanding expertise and valuable contribution to the Australian wine industry. “Throughout her journalistic career, Jeni has demonstrated undeniable passion and commitment to the Australian wine story and has communicated her exceptional knowledge to the wine-loving public with flair and professionalism,” said WCA National Chair Angus Barnes. She is the longest running contributor to The Age Epicure and has written an abundance of wine related articles for Gourmet Traveller WINE, Wine Companion, Winestate and Wine Selector. Throughout her career, Jeni has formed a distinctive voice when communicating the Australian wine story. She epitomises the spirit and ethos of WCA, having also been celebrated as the recipient of the WCA Wine Communicator of the Year award in 2014. “I am honoured to be presented with this award from WCA, whose contribution to the Australian wine story I hold in such high esteem. It is truly exciting to now be a member of the Legends of the Vine legacy,” said Jeni Port. First introduced in 2014 in Victoria, the Legend of the Vine Award extends across New South Wales and South Australia with annual awards issued in each state. Each successful winner receives a lifetime membership to WCA, including their name amongst other highly regarded wine industry bodies which also includes the likes of WCA patron James Halliday. Jeni Port is the fifth member to be awarded the prestigious Legend of the Vine status in Victoria, Australia. Her name will join previous WCA awardees which includes Viv Thomson, Colin Campbell, Ross Brown and Kathleen Quealy.